ESBI Quadrants Archives - Stephen Hon ESBI - Which Quadrant Are You In? Robert Kiyosaki ESBI Quadrants – According to the author of “Rich Dad Poor Dad“, there are 4 quadrants that will be effecting our live. So which quadrants are you in? 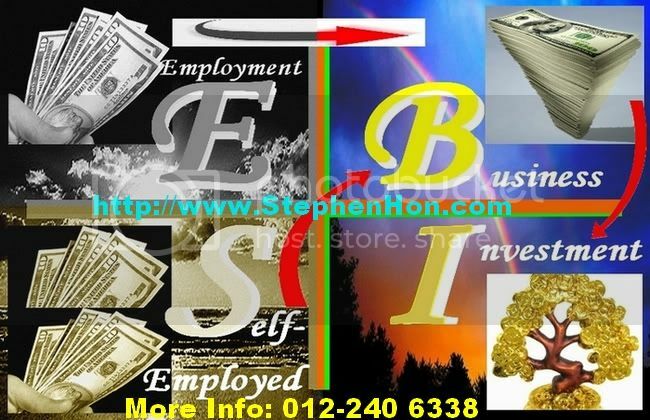 E – Employee / S – Self Employed / B – Business / or I – Investor? For those who want to jump to B quadrant but could not find an opportunity to do so may contact me for further discussion. Who know? Information I am going to share with you might be the turning point of your life! 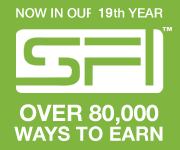 Soon to be Internet Marketers or Network Marketers are all welcome to have discussion and meet up with me. You can get to know more of Robert Kiyosaki ESBI Quadrants. Rich Dad’s Prophecy: Why The Biggest Stock Market Crash In History Is Still Coming…. Why Robert Kiyosaki & Tony Robbins recommended Network Marketing? A powerful share, I just given this onto a colleague who was doing a bit analysis on this. And he in reality purchased me breakfast because I discovered it for him.. Thank for spending the time to discuss this, I really feel strongly about it and love reading more on this topic. It’s highly useful for me. Massive thumb up for this weblog post! An interesting discussion is worth comment. I think that you should write more on this matter. As a web-site possessor I believe the content material here is rattling great, appreciate it for your efforts. You should keep it up forever! Best of luck. Best piece of work you may have carried out, this website is genuinely cool with superb information. Best Regards. Enjoyed examining this, very good stuff, regards. “Be not careless in deeds, nor confused in words, nor rambling in thought.” by Marcus Aurelius Antoninus. Great read, I’ll be sharing the information. Hello! I could have sworn I’ve visited this website before but after looking at many of the posts I realized it’s new to me. Regardless, I’m certainly delighted I found it and I’ll be bookmarking it and checking back regularly! Hello! I really like your writing so much! Share we keep up a correspondence more about your article on AOL? I need a specialist in this area to unravel my problem. May be that’s you! Looking ahead to see you. Hello! I wish to say that this article is amazing, great written and include approximately all important infos. I’d like to see extra posts like this. Hi I like your blog. Do you want to invitee post in my very own someday? If that’s the case you should let me know by way of email or just reply to this particular opinion because I signed up for announcements and definitely will realize should you. Howdy I am so delighted I found your web site, I really found you by error, while I was looking on Yahoo for something else, Nonetheless I am here now and would just like to say cheers for a incredible post an all round entertaining blog (I also love the theme/design), I don’t have time to look over it all at the moment but I have bookmarked it and also added your RSS feeds, so when I have time I will be back to read a great deal more, Please do keep up the fantastic work. I am extremely impressed along with your writing talents as smartly as with the format in your weblog. Is this a paid theme or did you modify it your self? Anyway keep up the excellent high quality writing, it’s uncommon to peer a nice weblog like this one today. I am only commenting to let you know of the fantastic encounter our princess experienced visiting your web page. She came to find numerous details, most notably how it is like to possess an ideal helping heart. You really surpassed our own expected results. Thank you for offering the insightful, trustworthy, edifying and cool tips about this topic to Sandra. I believe this internet site holds some very fantastic info for everyone. “This is an age in which one cannot find common sense without a search warrant.” by George Will. I do agree with all the ideas you have presented in your post. They’re really convincing and will certainly work. Nonetheless, the posts are very quick for novices. May you please lengthen them a little from next time? Thank you for the post. I enjoy your writing style, truly enjoying this web site. I got what you intend, appreciate it for putting up. Woh! I am glad to find this website through Google. I gotta favorite this website it seems very beneficial invaluable. I had been wondering if you ever thought of modifying the page layout of your website? Its well written; I love what you’ve got to say. But maybe you can add a little more in the way of written content so people might connect with it better. You’ve got an awful lot of wording for only having one or two graphics. Maybe you can space it out better? I have been absent for a while, but now I remember why I used to love this website. Thanks, I will try and check back more often. I just discovered this incredible weblog post and I should say to you thank you very much for giving this 1 to us. I just want to tell you that I am very new to blogging and seriously liked you’re website. Almost certainly I’m likely to bookmark your site . You definitely have incredible stories. With thanks for sharing with us your web site. I like this blog, it’s a master piece! Glad I discovered this on Google. I like this web blog very much, its a real nice post to read and incur information. “What is called genius is the abundance of life and health.” by Henry David Thoreau. I like what you guys are up too. Such intelligent work and reporting! Carry on the superb works guys I have incorporated you guys to my blogroll. I think it will improve the value of my site. I love looking through and I believe this website got some genuinely useful stuff on it! I really like this post. Best read in a long time. Hopefully you will continue write such as this! I really like reading and I believe this website got some really useful stuff on it! I really like your writing style, great information, appreciate it for putting up. “Every moment of one’s existence one is growing into more or retreating into less.” by Norman Mailer. I require to appreciate this very very good read!! I definitely loved every little bit of it. I have you bookmarked your internet site to check out the fresh stuff you post. I should say, I enjoyed reading what you had to say, Its as in the event you had a great grasp on the subject matter. I simply want to tell you that I’m all new to blogs and truly loved your page. Probably I’m want to bookmark your blog post. You amazingly come with really good stories. Thanks for sharing your website. I think that from now on I’ll be a regular reader and I will visit your blog often. I want to express my thanks to this writer for rescuing me from such a challenge. As a result of checking through the internet and coming across views which were not helpful, I thought my entire life was done, existing without the strategies to the issues. You have solved by means of your main guide is a crucial case, as well as the kind which may have in a negative way damaged my entire career if I had not encountered your web blog. Your own personal ability and kindness in playing with all the stuff was helpful. I don’t know what I would have done if I had not encountered such a point like this. I’m able at this point look forward to my future. Thank you so much for the professional and results-oriented help. I will not think twice to endorse your blog post to anybody who wants and needs support about this topic. I want to say that this article is amazing, nice written and come with almost all important info. I’d like to see more posts like this. I wanted to compose you the very small observation to thank you so much just for the superb secrets you’ve discussed on this site. It is really tremendously generous with people like you to offer unhampered what exactly most of us could have offered for an e-book to help make some dough on their own, notably considering that you could have done it in case you considered necessary. These points additionally worked as the fantastic way to be certain that other people online have similar keenness much like my very own to figure out lots more with regard to this issue. I believe there are a lot more enjoyable sessions ahead for many who browse through your website. I was initially happy to search out this web-site. I want to to thanks for your time with this wonderful read!! I absolutely taking advantage of every single little it all and I have you book-marked to check out fresh things you writing. I was looking at some of your articles on this internet site and I believe this internet site is real instructive! Keep on putting up. I was more than happy to seek out this internet-site.I wished to thanks for your time for this glorious read!! I definitely having fun with every little bit of it and I’ve you bookmarked to check out new stuff you weblog post. I wonder if this is all possible? I’m impressed, I have to admit. Seldom do I encounter a blog that’s both educative and entertaining, and let me tell you, you have hit the nail on the head. The is an issue that few people are speaking intelligently about. I’m very happy I came across this during my hunt for something regarding this. I’m so happy to read this. This is the type of detail that needs to be given and not the accidental misinformation that is at the other blogs. Appreciate your sharing. If you wish to obtain a good deal from this then you have to apply such strategies to your owo weblog. It is best to take part in a contest for one of the best blogs on the web. I’ll recommend this website! Just a smiling visitor here to share the love, btw outstanding design . Just desire to say your article is as surprising. The clearness in your post is just excellent and I could assume you’re an expert on this subject. Fine with your permission allow me to grab your RSS feed to keep up to date with forthcoming post. Thanks a million and please continue the rewarding work. Just wanna input that you have a very decent internet site, I love the style and design it really stands out. Just wish to say your article is as amazing. The clearness in your publish is simply nice and that I can assume you are a professional on this subject. Well with your permission let me to grab your feed to keep updated with coming next post. Thank you one million and please keep up the rewarding work. Keep up the good work, I read few blog posts on this website and I believe that your site is really interesting and has bands of superb information. Merely wanna comment that you have a very decent internet site, I enjoy the style and design it really stands out. My brother recommended I might like this web site. He was entirely right. This post actually made my day. Thanks! My wife and that I are now delighted that Albert could execute his studies due to the suggestions he had via your web content. Outstanding post, I think blog owners should learn a lot from this weblog, its really user friendly. So much wonderful information on here. Outstanding post, I think website owners should learn a lot from this website its really user pleasant. “Choose your pleasures for yourself, and do not let them be imposed upon you.” by Lord Chesterfield. Perceptibly a bunch to know about this. You made various nice points in it also. Profound site you might have at this time. It is challenging to find high-quality content like yours right now. Simply wish to say your article is as amazing. The clarity in your post is simply nice and I could assume you are an expert on this subject. Well with your permission let me to grab your feed to keep updated with forthcoming post. Thanks a million and please continue the gratifying work. Some really fantastic blog posts on this internet site, thanks for contribution. Thanks, I have recently been searching for info about this subject. But, what about the conclusion? Are you positive about the result? Thanks a lot for providing individuals with remarkably nice chance to read blog posts. It can be so useful and as well jam-packed with amusement for me personally and my office co-workers to search the blog at the least three times weekly to read through the latest items you have. And definitely, we are actually fulfilled with your surprising concepts served by you. Some facts in this posting are undeniably the most effective I’ve ever had. Thanks for the information. Indeed it was useful knowledge. That is really fascinating, You’re a very skilled blogger. I have joined your feed and look ahead to hunt for extra of your magnificent post. Also, I have shared your site in my social networks! That is the correct blog for anybody who desires to find out about this topic. You understand a lot, its nearly laborious to argue with you (not that I actually would want! Ha! Ha!). You positively put a new spin on a topic that’s been written by other for years. Nice stuff, just great! The most comprehensive and very well thought out article I have found on this subject on the net. Maintain on writing, I will keep on visiting to read your new content. This is my fifth time visiting your website. Very efficiently written post. It will be beneficial to anybody who uses it, including me. Keep doing what you are doing – I will definitely read more posts. Very good details is often located on website weblog. Very good put up, I actually love this website, keep on it. Woah! I’m really loving the template/theme of this blog. It’s simple, yet effective. A lot of times it’s tough to get that “perfect balance” between superb usability and visual appeal. I must say you’ve done a superb job with this. Also, the blog loads very quick for me on Chrome. Excellent Blog! Wohh! just what I was searching for, appreciate it for putting up. WONDERFUL Post. Thanks for sharing. There are definitely a variety of particulars like that to take into consideration. That could be a great point to convey up. I offer the ideas above as common inspiration but clearly there are questions just like the one you carry up the place the most important factor can be working in honest good faith. Wow! This could be one particular of the most helpful blogs we have ever came across on this subject. Actually Great. I am also an expert in this topic so I can understand your effort. You made some respectable facts here. You made some nice points there. I looked on the internet for the subject and found most individuals will go along with your website. You’re so cool! I don’t suppose I’ve read anything like this before. So nice to uncover somebody with some original thoughts on this subject. Really thank you for starting this up. This site is something that is required on the web, someone with a little originality. 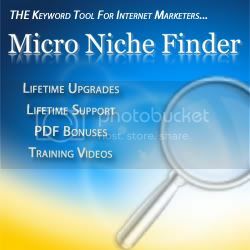 Beneficial job for bringing something new to the internet!